For nearly a decade, DeeperCalling Media (DCM) has operated a thriving paid internet bookstore eCommerce service. The platform has proven extremely popular with booksellers throughout the country, and has been used to power thousands of mission critical bookseller websites. Now DeeperCalling – in close consultation with industry partners including distributors, trade associations, and retailers – is offering a new free version of its internet bookstore service. “As a small business ourselves, we have a heart for independent booksellers and we understand the unique challenges facing book stores today. Retailers are struggling to compete against big box giants and are looking for a way to level the playing field. This Booksellers Free Online Bookstore program will give merchants the necessary tools at an extremely affordable price free. This is a no-strings service designed for stores with no current viable online strategy. It allows all bookstores to establish a solid beachhead in online retailing and drive new revenues from internet sales. stated DeeperCalling CEO Bill Goodyear. To complement its paid service, DCM is launching a service completely free of any enrollment or recurring fees. In a time when retail booksellers of all sizes are going out of business or struggling to compete in a fast-moving, high-tech world, this is an opportunity for any bookseller wanting to join the online store marketplace to do so with no risk. This service is optimized to the needs of booksellers desiring a no-cost and fully functional way of getting a professional online store. DeeperCalling is giving store proprietors all the tools necessary to thrive online. This entry was posted in Which Open Source Blog and tagged Announces, Book, Bookstore, DeeperCalling, Free, Internet, Media, Members, Service, Trade on March 5, 2013 by Administrator. GLM Displays, a leading provider of trade show displays, converted their online presence to a complete e-commerce website last September. Enabled with product images, specifications, graphic templates and videos, shoppers are now able to research which trade show display is best for their needs. The change has directly and drastically increased website visits and sales. I was always apprehensive to an e-commerce store, stated Matthew Lunser, owner of GLM Displays. Ive always been about building relationships with my clients. I was afraid a web store would be less personable. It turns out thats not the case at all. The phone rings more and Im building a better and stronger client base. Ordering larger items that require custom printing is not a deterrent for most shoppers these days either. GLM displays makes the shopping and checkout process easy. Product options can be adjusted easily with drop down menus which automatically adjust the price. Customers can also upload digital files for graphic printing through their web browser. Bottom line, I wish I would have made the change years ago. Sales are up 66% this year to date compared to last year at this time, especially for items like our modular truss displays and banner stands. Rather than slowly growing my client base locally, Im gaining clients from coast to coast. All other forms of print advertising fall drastically short to having a well designed and SEO friendly e-commerce website in my experience. When designing his new website, Matthew focused on 3 main things; easy navigation, clean and easy to read product information and shopper security. I did a lot of research and testing before picking an e-commerce platform. Ultimately I decided on BigCommerce to host the site and am very happy with their services. Shopper security was added with a SSL license from GoDaddy for checkout encryption and also by embedding a Better Business Bureau badge. These important elements help shoppers feel comfortable with their purchase. Creating an effective e-commerce store that attracts visitors and increases conversions takes a lot of time but as in the case of GLM Displays, it is well worth it. GLM Displays offers a full line of trade show displays, pop up booths, banner stands, table top displays and more. Customers can find options, sizes and prices on their easy to use website, http://www.glmdisplays.com but also can find personable assistance by calling (888) 743-4564. Whether its a small table top display or a full 20 foot booth, GLM Displays has the options for any budget or need. This entry was posted in Which Open Source Blog and tagged Company, Display, Displays, eCommerce, Increase, Sales', Show, Trade, Website on February 9, 2013 by Administrator. Atango, the talent acquisition solution that helps midsize companies find better talent and make better hires, launched with a bang at the recent HR Tech convention in Chicago. HR Tech is the most heavily attended trade show for human resources professionals and is often considered the most influential convention in the industry. Atango launched at HR Tech with an eye-catching booth display, a hot-ticket after-hours party that it co-hosted and even a theme song penned for the new company. Atango showed off a persona at HR Tech that immediately set it apart from the competition and further highlighted the uniqueness of its product. The name Atango evokes images of dancing and flowing movement not characteristics normally associated with HR technology vendors or their products. The color palette of bright fuchsia and chartreuse yellow is similarly vibrant and presents a bold contrast to the subdued blues and grays of Atango’s competitors. The youthful and exciting colors also play into the vibrancy and light of the Atango brand. 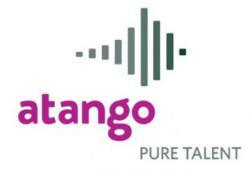 The logo, an artistic representation of a sound wave, mimics the Atango experience. Just as a sound wave is a simple visual representation of a complex idea, Atango takes the complicated task of acquiring and managing talent and simplifies it. Atango is easier to use than the “big, clunky” sourcing and recruiting solutions that only large enterprise organizations could afford or manage to get the most usability from, Hopcraft said. Atango is tailor-made for the challenging hiring processes of small and midsize businesses. Another differentiator is that Atango understands and straddles both the world of the HR professional and that of sourcing and recruiting experts. Atango is uniquely designed to work for either user. The Atango booth at HR Tech was not only colorful and bold, it featured singers performing improvised songs based on suggestions from booth visitors. People are the music that moves your business. Making the best music requires finding the right talent. But recruiting, auditioning and hiring that talent is hard to do with software that offers an endless noise of features and price points. You need something simple. Something as easy as “do-re-mi.” Atango is a talent acquisition software solution that streamlines your recruiting and hiring process. It’s easy to use, tuned for smaller businesses, and the customer service is always a smile away. Isn’t it time your company had the best candidates and new hires without the effort or hassle? We think so. Put the right band together. Pull back the curtain. And let the world hear your song. 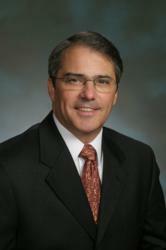 Atango is headquartered in St. Louis, Mo., and is online at http://www.atango.com. This press release was distributed through PR Web by Human Resources Marketer (HR Marketer: http://www.HRmarketer.com) on behalf of the company listed above. This entry was posted in Which Open Source Blog and tagged Acquisition, Approach, Atango, Bang, Bash, Bold, Launches, Look, Major, Recruiting, Show, Software, Talent, Tech, Trade, Unveiled on November 17, 2012 by Administrator. The fashion industries leading apparel ERP Software Company hosted an evening reception at the AIMS headquarters Training Center in Downtown Los Angeles, on Wednesday, August 15. Amongst the guests were 13 top performing students from Los Angeles Trade Technical College (LATTC) that received an A grade in FM040 – Fashion Merchandising Math Class. The distinguished students and their families were entertained with foods, drinks and wonderful industry insight from their instructor, Henry Cherner (Managing Partner and Senior Adjunct Instructor at LATTC). Following the reception, Henry personally greeted and awarded each student their AIMS Certification Certificate. AIMS was first introduced to students at LA Trade Tech College in 1997. Knowing the ins and outs of the fashion industry and what fashion students were being taught at various trade schools and colleges, Henry Cherner saw that there was a gap that still needed to be filled between designing, merchandising, etc. and business concepts. Henry and his founding partner of AIMS, Scott Chaban, had built a successful automated tool for inventory management, order taking, shipping, accounting, EDI , etc. and saw that there was a strong tie between classroom education, technology and an evolving clothing manufacturing business world and that students within this industry needed more than just a fashion sense to be successful. So, Henry was brought in from industry to create a curriculum for Fashion Merchandising Math/Costing program and instituted it into various fashion programs. As time went on and the AIMS software itself started to evolve, and there was a need of more people to better understand how manage and apparel ERP Software, so Henry created an AIMS Certification program. The program itself teaches how to use an inventory management software (on the AIMS platform) and how to automate the many facets of the apparel industry using the system. AIMS 360 is dedicated to educating and training of future stars in the apparel industry. AIMS is currently being taught at colleges and trade schools such as Los Angeles Trade Technical College, Art Institute of CA San Diego, Cal Poly Pomona AMM, UCLA Extension, Saddleback College Irvine, CA and in the Fall of 2012 it will be taught at FIDM (Fashion Institute of Design & Merchandising). AIMS 360 offers a fully integrated apparel inventory software solution for importers, distributors and manufactures of apparel, footwear, handbags, accessories, jewelry, home furnishings and other fashion goods. With over 25 years of experience, AIMS ties cutting-edge technology with all facets of your business. AIMS 360 product suite is comprehensive, feature-rich, user-friendly, easy to implement and is compatible on a laptop, PC, Mac and iPad. Solutions are available for on-site applications and in the cloud. A Gold Level Microsoft ISV Partner and Gold Level QuickBooks developer, AIMS 360 provides the most professional, up-to-date program possible, including AIMS GL Integration with QuickBooks, AIMS EasyShop online e-commerce retail shopping cart, AIMS WebLink online wholesale shopping cart, UPS , FedEx and USPS shipping integration, AIMS RemoteLink for iPad and Windows for order taking on the go, Business Analytics for iPad and the easiest-to-use EDI Integration. AIMS 360 delivers all of this at affordable prices. From materials to finished goods, our application is easy-to-use, customizable and low-cost. No matter if you are a new business or are an existing small, medium or large organization, AIMS 360 is your ERP solution and is here to help you grow! Find out why so many apparel businesses rely on AIMS360 since 1984! This entry was posted in Which Open Source Blog and tagged Aims, Angeles, Apparel, College, from, Hosts, Reception, Software, Students, Technical, Trade on October 20, 2012 by Administrator. Representatives of Affiliate Network Leader, T3 Leads, including CMO David Gasparian, CEO Dmitry Fomichev and CFO/President Grigor Demirchyan have concluded two days of meetings with lenders and affiliates from across the globe that attended the ad:tech London trade show. Ad:tech London is held for the purpose of connecting the digital media community for two days of purposeful learning and networking. 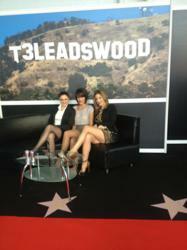 T3Leads was sponsor to half of the networking lounge where the Hollywood theme was a big hit. Said Regional Product Manager, Diana Kirakosyan, there was a steady stream of attendees who came by to photograph the lounge. It had the desired effect of attracting and entertaining. Were very pleased with the outcome. T3Leads matches affiliate marketers with financial businesses, who are looking to expand their business. It uses sophisticated web design and back-end technology to offer the most productive and user-friendly lead generation system available. T3Leads is located in Encino, California and employs more than 50 employees worldwide. This entry was posted in Which Open Source Blog and tagged adtech, Affiliate, from, Leader, London, Network, Returns, Show, T3Leads, Trade on October 19, 2012 by Administrator. The iProDeveloper event on October 17th is meant for application developers who are currently building and maintaining IBM i based RPG, COBOL, and CA 2E applications on the worlds favorite mid-range platform. The events focus on Web and Mobile development is relevant for those companies who understand the value of legacy extension as an alternative to replacements. The CM First team will be both sponsoring the event and providing product technical information on web and mobile development at their virtual booth. Conference information and registration can be found here: http://www.iprodeveloper.com/events/upcoming-events. At the Germany event CM First will be presenting the latest release of CM WebClient as well as covering Application Lifecycle Management with a demo of CM MatchPoint 5.2, released October 1st. Both MatchPoint and WebClient are complimentary add-ons for CA Plex and 2E, with the MatchPoint ALM solution having a broader appeal to organizations seeking cross platform change management and automated deployment. Christoph Heinrich will be presenting two new features important to web and mobile development: the products improved support with the CA Plex Java generator, and integration with Subversion for source control. The CA 2E and Plex user community from Germany, Switzerland and Austria will be taking part in a larger event, CA Expo (http://www.ca.com/us/lpg/caexpo/CAExpo.aspx), which is a circuit of worldwide events themed IT at the Speed of Business. The Mannheim CA 2E/Plex user community event on October 29th and CA Expo event on October 30th are both free to attend. Please contact CM First for further information. The CM First Group is a global software and services company with focus on application modernization, custom development of enterprise applications and the enabling technologies that support high-performing, and agile development teams. CM First has offices in Switzerland, Italy, and the USA. The company provides software solutions and professional services for over 400 clients in both the private and public sectors, including banking, IT, tourism, and manufacturing. Flagship products focused on the CA market include CM MatchPoint ALM, CM WebClient for CA Plex, CM M3 Modernization for CA 2E, and CM Meta Analytics for CA Repository. This entry was posted in Which Open Source Blog and tagged Circuit, First, Going, Mobile, October, Show, Trade on October 9, 2012 by Administrator. PixelApes (http://www.pixelapes.com) are based in Ireland and offer various services including print design, web design & development, and web hosting. Throughout the seven years we have been in business we have come across some great productivity tools that enables us and our clients to communicate efficiently and work productively . Prior to 2010 our core team of two worked from a single office space, and up to that time our virtual toolbox had been relatively simple. This changed when our web developer, Alex Leonard, relocated to Phnom Penh, Cambodia. Initially it was to be a working holiday but he liked it out there so much that he stayed for two years. Since then weve had multiple relocation’s, working between Cambodia and Ireland; Cambodia and South Africa; and, Northern Ireland and South Africa. Our current situation sees us split between Dublin, Ireland and Ballycastle, Northern Ireland. As a result of these relocation’s and the new experience of distance-working, our virtual toolbox has had to adapt. Our projects vary hugely; print design, web project consultation, simple brochure websites, bespoke web development, search engine optimisation, and more. Our clients are based all around the world too: Ireland, United Kingdom, Norway, Canada, United States, Cambodia, New Zealand; and include NGOs, artists, small to medium enterprise, charities, e-commerce websites, and more. Certain applications are a given when working on web and print. The Adobe CS suite is one of those. Illustrator is our primary tool, with InDesign being used for brochure print work, and occasional usage of Photoshop although we prefer using vectors where possible on our design work. Graphics tablets have also become a necessity, with the Wacom Intuos range being the preferred option. From a web development point of view, were currently rocking Aptana as our IDE, although still do miss StyleMaster for fine-grained CSS control which hasnt been actively developed in a long time. SQLYog and MySQL Workbench co-exist as useful tools for database planning and management as they both have their strengths and weaknesses. Weve also been finding Diagram.ly useful for quick and easy sitemapping and increasingly indispensible is Balsamiq (http://www.balsamiq.com) Mockups for wireframing. With regard to distance-working, weve become much more dependent on cloud computing than before. SpiderOak has been mission-critical for us, ensuring complete file-synchronicity between multiple machines in multiple locations. Their service is well-priced and includes versioning and encryption. We really would struggle to stay on top of local file management without it. Even with SpiderOak, we still find quite a lot of use for Dropbox.com as a lot of clients already use it. For invoicing, whilst we used to use the solid open-source BambooInvoice for several years, it ceased development and we migrated to Freshbooks.com which offers an extensive feature set and makes it easy for us to issue invoices & receipts and get a quick overview of what payments are outstanding. For project management we use TeamworkPM.net. Our clients are always impressed by the functionality on offer and weve been absolutely delighted with the level of service offered by http://www.teamworkPM.net. The TeamworkPM developers are insanely quick to respond to any support queries or feature requests. We can manage multiple projects in one location and easily stay on top of what tasks are assigned, who theyre assigned to and when theyre due for completion. Its also much easier to track communication within TeamWork than it is via email and for people not using Dropbox they can easily upload larger files without having to send them via email. Weve also been relying on Google Docs more and more, just for the simple collaborative power of it. Whilst it falls short on more complicated word document layouts, its invaluable in numerous cases, and also helps us keep track of our accounts. Interestingly, a new development that looks like it may provide some benefits is Google Plus – namely the Hangouts feature. Were currently working on a project where its very useful for us to have a Hangout with our client , as the three-member client team tend to be in different locations all the time. I think it could become a very useful tool for us. Another aspect of our business is providing managed-hosting. We maintain a dedicated server which is well specified and resides in co-location space in Park West, however with our frequent re-locations and our server administrator being based in Cambodia, weve stopped maintaining a back-up server locally. This has moved to the cloud and were happily utilising Amazon Web Services for this. It gives us great flexibility and ensures low costs for our redundancy commitments. The last few years have been fascinating, and its been amazing to see how the digital office and workspace has enabled much greater flexibility in our working methods and given us the freedom to work in far flung locations across the world. If youve ever thought that distance working and a digital office is not possible, wed like to point out a small company whose software powers 15% of the top million websites in the world and has a workforce spread across over twenty countries. Who? Automattic, the company behind WordPress. This entry was posted in Which Open Source Blog and tagged Developers, Tips, Toolbox, Tools, Trade, Virtual on October 9, 2012 by Administrator. The first Washington State Summit on US-India Trade & Commerce is being organized by the Washington State and India Trade Relations Action Committee (WASITRAC) in collaboration with the Seattle Center Foundation, Consulate General of India in San Francisco, City of Seattle, and the Port of Seattle.The Summit is taking place during the Next Fifty, a six month long celebration (April October) marking the 50th anniversary of the Seattle Center and Seattles First World Fair (1962-2012). The month of September has been designated as the month for Commerce and the Innovation Economy. Washington State Lt. Governor Brad Owen and Consul General of India Ambassador N. Parthasarathi will be the Keynote Speakers at the summit which will be attended by high profile trade delegations from the Indian states of Assam and Gujarat. Senior Washington State representatives Paul shin, Jim Kastama, and Phyllis Kenney have confirmed attending this trade summit with many prominent members of the Consular Association of Washington. Perhaps no other time in history has the Republic of India presented such a remarkable opportunity for trade and business development for Washington state. We are uniquely positioned to take advantage of Indias rapidly growing economy due to our close proximity to the Pacific and our ability to compete strongly in global markets. This Next Fifty Trade Summit will bring together all of the right people and help establish a clear outline for bilateral trade between Washington and India for decades ahead. The founder and former chair of the India Caucus in the US House of Congress, Seattle Congressman Jim McDermott will give his special remarks at the inauguration of the summit on Friday September 28, 2012. Congressman Jim McDermott, a great advocate for US-India trade was very optimistic on the outcome of this trade summit. On being asked about his thoughts on this business meeting he said, As a founding member of the Caucus on India and Indian Americans, and as the Ranking Member on the Trade Subcommittee of the Ways and Means Committee in the U.S. House of Representatives, I have seen trade between the U.S. and India grow enormously, but there is still much opportunity for growth. The 1st Washington State Summit on U.S.-India Trade, initiated by WASITRAC, is a great venue for political and business leaders from both countries to meet, network and hopefully make a meaningful connection. The registration for the trade summit will be complimentary for all students of the business schools in the state of Washington providing them an opportunity to interact with the visiting trade delegations and network with the policy makers on both the sides.The day long summit will include inauguration, keynote addresses by dignitaries, informative workshops, one to one networking among participants, industry focused panels and company spotlights. The plenary sessions will highlight opportunities in the area of infrastructure development, technology and innovation, education, agriculture, chemicals & pharmaceuticals, life sciences, biotechnology, nanotechnology, automobiles, shipbuilding, tourism and convention. The summit will also have a special session on corporate social responsibility highlighting the role of businesses in building stronger and sustainable communities. The summit will open with 3rd Annual Building Bridges Reception on the evening of September 27 where the organizer will honor the noted Indian scholar, philosopher, humanitarian and spiritual leader Dr. Chandra Bhanu Satpathy with the Building Bridges across the Nations award for bringing the world together through his works on the arts, literature, music, spirituality and humanitarian endeavors. For the last 25 years he has dedicated his life in helping to empower the mentally and physically challenged, under privileged, young women who seek protection and people with incurable afflictions discarded by society, a cause close to his heart. Such is his love and compassion for those that interact with him, be it rich, poor, distressed or the lepers; that he mingles with them, eats with them and cares for them as they are his own. Dr. Satpathy has been widely recognized for his dedicated public service and an illustrious corporate experience spanning over 25 years. Besides being the Inspector General of Police for the most populous state of Uttar Pradesh (UP) he has served as Additional commissioner of aviation security under Ministry of Civil Aviation, Chief Vigilance Officer in Indias top two oil companies (Indian Oil Corporation (IOC) and Oil and Natural Gas Corporation of India (ONGC)) under Ministry of Petroleum and served as Additional Director General, Central Industrial Security Force (CISF) under Ministry of Home affairs. In his career, The President of India awarded him with police medals thrice for gallantry in 1981, meritorious service in 1991 and for distinguished service in 1997. The organizer of the summit, WASITRAC has been in the trade advocacy for building a stronger US-India bilateral trade relations since 2007 and have facilitated two trade missions to India in 2010 under the joint leadership of Congressman Jim McDermott and Lt. Governor Brad Owen which actualized with couple of MOUs between the North Seattle Community College and educational institutions in India. Port of Seattle also signed its first sister port agreement with Dhamra, a port in the eastern state of Odisha, as a result of the second trade mission in 2011 led by Port of Seattle CEO Tay Yoshitani. This entry was posted in Which Open Source Blog and tagged Center, First, Hosts, Seattle, State, Summit, Trade, USIndia, Washington on October 2, 2012 by Administrator. Illinois Congressman & Chairman Of New African Partnership for Economic Growth Caucus Sits Down With AfricaBusinessSource.com. The recent trip to Africa by President Barack Obama so early in his term – sent clear signals to the continent and the world that the United States is ready to engage Africa in brand new ways. With this clear directive, AfricaBusinessSource.com sat down with US Congressman Bobby Rush, Chairman of New African Partnership for Economic Growth Caucus (APEGc) to get more insight into the future of US/Africa Relations in our new global dynamic. During our interview with Chairman Rush he asserts; “Africa is an asset in this global economy, not a liability. Members of the caucus fully recognize how exceptionally rich Africa is in human and natural resources. It is time to change the paternalistic approach in dealing with Africa and partner with the continent.” For this comment and to read the exclusive interview, visit us at http://www.AfricaBusinessSource.com. Africa Business Source provides entrepreneurs and business professionals with the news, tools and advice they need to succeed in today’s business environment. AfricaBusinessSource.com is uniquely focused on African business sectors with a worldwide audience in mind. While providing general business and investment content, AfricaBuinessSource.com sets the agenda through a unique focus on African innovation. Our goal is to help African entrepreneurs, entrepreneurs interested in Africa and business leaders work smarter and more efficiently in a global economy. With the launch of its beta phase, readers can expect to find features that include exclusive interviews, an advice library, a first time ever comprehensive database of over 1000 publicly traded companies on the African stock exchanges, Profiles of Up and coming as well as accomplished Entrepreneurs and business leaders, articles/commentary covering various business sectors and regions in Africa and the Diaspora, and a comprehensive list of upcoming events. As Africa becomes a significant player in the global market place, Africa Business Source will keep its audience on the pulse and tuned into – the exciting and emerging business trends shaping the African continent and Diaspora worldwide. Diaspora Interactive Media Corporation (DIM Corp.) is Africa’s newest content provider. DIM Corp is an Online, Print, Audio, Television and Mobile content producer for African and African Diaspora audiences. The company produces content on multiple platforms, for the continent of Africa and for providers in the Diaspora interested in adding value for their users and viewers. The company, founded by Elias Mageto, launched its first portals, Jamati.com and Jamati.fr, and has plans to launch new brands beginning in 2010. The new brands are expected to bring DIM Corp. full circle, producing a menu of content for platform owners to consider for syndication as well as compelling and cutting edge content for African and African Diaspora Audiences. dimcorporation.com. This entry was posted in Which Open Source Blog and tagged About, Africa, AfricaBusinessSource.com, Bobby, Caucus, Chairman, Congressional, Down, Leader, Rush, Sits, Talk, Trade on July 19, 2012 by Administrator. BOSTON Americas finest hot rods and customs roll into Bostons Seaport World Trade Center Mar. 30 to Apr. 1 for the thirty-eighth annual edition of the Town Fair Tire World of Wheels (http://www.autorama.com) custom car show and motorsports exposition. For nearly four decades, the Town Fair Tire World of Wheels has treated spectators to displays of hundreds of one-of-a-kind hot rods, customs, trucks and motorcycles, which are joined each year by feature cars, celebrity appearances and special attractions. In addition to the hot rods and customs created by local car enthusiasts, which make up the bulk of the show, feature cars at this years show will include the Transformers III movie series Bumblebee, a special edition 2012 Chevrolet Camaro; 60s bubbletop car called Mantaray; BASF 1957 Mercedes 300SL Gullwing, redesigned by well known custom designer and builder Chip Foose; and four special car sectionsthe Shake Pit, with vintage and current Ford muscle cars; World of Wheels Ol Skool Rodz display; Direct Connection display of vintage and current Hemi-powered vehicles; and Drag City USAs vintage race cars. Celebrities scheduled to make personal appearances include New England Patriots safety Patrick Chung, who will be at the show 1-3 p.m. on Sunday, Apr. 1; Billy Bretherton from A&E Networks Billy the Exterminator, who will make personal appearances on Saturday, Mar. 31, 1-4 p.m. and again 6-9 p.m.; and Deena Nicole Cortese of MTVs reality series Jersey Shore, who will be at the show on Sunday, Apr. 1, noon-4 p.m. Also, the Ol Skool Rodz Pinup Girl Contest will take place on Friday, Mar. 30, at 8 p.m.
Thirty-eighth annual Town Fair Tire World of Wheels show hours are Friday, Mar. 30, 2012, 3-10 p.m., Saturday, Mar. 31, 2012, 10 a.m.-10 p.m., and Sunday, Apr. 1, 2012, 10 a.m.-7 p.m. Admission is $ 16 for adults, $ 5 for children 6-12 and free for children 5 and under. Discount coupons for $ 2 off general admission, as well as coupons good on Friday, Mar. 30, only that admit a child free when accompanied by an adult, will be available at http://www.townfairtire.com. Bostons World Trade Center (http://www.seaportboston.com) is located at 200 Seaport Boulevard, in South Bostons Seaport District with plenty of area parking and access by the MBTAs Silver Line. Show information is available online at http://www.autorama.com, where enthusiasts can link to the World of Wheels on Facebook and Twitter and the Town Fair Tire World of Wheels blog is online at http://worldofwheelsboston.wordpress.com/, and photos can be found at the Boston Town Fair Tire World of Wheels photo page (http://www.flickr.com/photos/11988326@N07/sets/72157629172535395/). This entry was posted in Which Open Source Blog and tagged 30Apr., 38th, Americas, Annual, Boston's, Center, Customs, Fair, Finest, Into, Mar., Rods, Roll, Seaport, Tire, Town, Trade, Wheels, World on May 28, 2012 by Administrator.